CrimeStoppers of the Quad-Cities has updated its wanted suspect list with three additions. 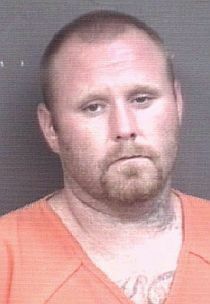 • John William Young III, 31, is wanted by Milan police for burglary. Young is described at 5-feet, 8-inches tall and weighing 225 pounds. He has blonde hair and hazel eyes. On August 13, 2018 Young is accused of breaking into a residence in Milan and stealing the victim’s medical marijuana. 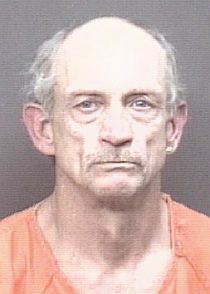 • Brent Lee Ince, 57, is wanted by East Moline police for two counts of possession of stolen property. Ince is described as being 5-feet, 7-inches tall and weighing 160 pounds. He has gray hair and blue eyes. Ince is wanted on two warrants for possession of stolen property after he was in possession of power tools stolen in a car burglary and garage burglary. • Danny M. Wilson, 23, is wanted by the Scott County Sheriff's Office for eluding with injury, OWI, drugs and child endangerment. Wilson is described as being 5-feet, 6-inches tall and weighing 140 pounds. He black hair and brown eyes. On January 5th, Wilson was located by Moline Police inside a vehicle during a traffic stop. It was discovered he was wanted on 4 warrants out of Scott County on charges of eluding with injury, OWI, drug possession, and child endangerment. After being asked to exit the vehicle he took off running and was not located. He left his ID and phone behind. Anyone with information about these fugitives are asked to call CrimeStoppers of the Quad-Cities at 309-762-9500 or submit a Web Tip. DO NOT APPROACH THESE INDIVIDUALS. You do not have to give your name. CRIMESTOPPERS will pay a cash reward of up to $2,500 and you can remain anonymous.